Course Length: 24 hours total - delivered across 8 sessions of 3-hours each. PLEASE NOTE: This course will be delivered through Adobe Connect. To ensure your computer system has access to Adobe Connect, please test your system HERE. Each session will be recorded and made available to all registrants for 30 days after the course. If you miss a session or two, you can catch up by viewing the recording! webinar on "Practical DRFM Technology & EMW Design Considerations" that Dr. Pace presented on February 7. This course is intended primarily for engineers and scientists interested in the technology and design of digital RF memories and electronic warfare receivers including the techniques used in electromagnetic maneuver warfare (EMW). Attendees should have a good knowledge of radar systems and signal processing. Example problems are worked out to demonstrate the concepts and further the understanding of the material being presented. Some MATLAB programs are used to help students clarify difficult concepts. 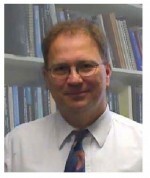 Dr. Pace is a professor in the Department of Electrical and Computer Engineering at the Naval Postgraduate School. He received the B.S. and M.S. degrees from the Ohio University in 1983 and 1986 respectively, and the Ph.D. from the University of Cincinnati in 1990 | all in electrical and computer engineering.